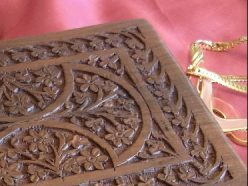 Fully carved dark hardwood partially carved walnut jewellery box with intricate patterns. 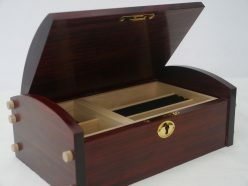 Superb workmanship. Internal mirror. 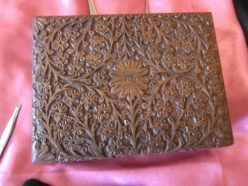 Beautiful felt moulded interior suitable for general jewellery and a ring cushion for rings. Mirror. Heavy, solid, high quality. 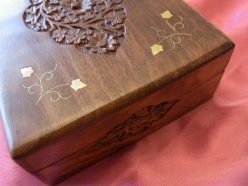 Highest quality fully carved dark hardwood partially carved walnut jewellery box with intricate patterns. 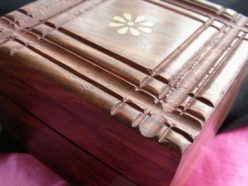 Superb workmanship evidenced from appearance. 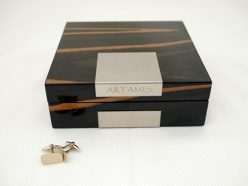 Beautiful velvet moulded interior suitable for general jewellery and a ring cushion for rings. Heavy, solid, high quality construction. 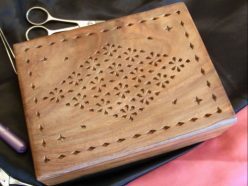 Light hardwood partially carved walnut jewellery box with intricate patterns. 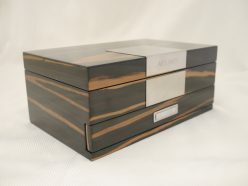 Attractive grained wood used for superb effect. Internal mirror. 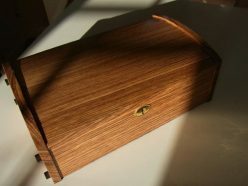 Beautiful felt moulded interior suitable for general jewellery and a ring cushion for rings. 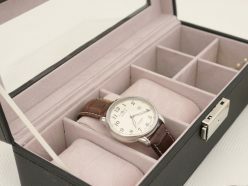 Heavy, solid, high quality construction. 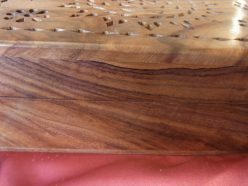 Hardwood walnut jewellery box with beautiful felt moulded interior suitable for general jewellery and a ring cushion for rings. Mirror. Heavy, solid, high quality construction. Internal mirror.